Hydrotherapy – heaven or hell? 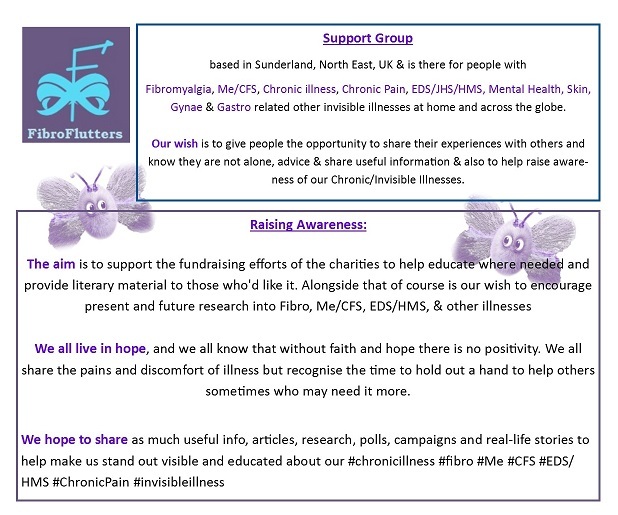 is a discussion that I have often read in other blogger’s pages, online support groups and also physically discussed with other people just like me who live life with chronic pain, hypermobility and chronic illness, within my own support group FibroFlutters. For me it is something that I am still deciding and am currently embarking on another attempt to see if hydrotherapy will be heaven, or, hell! Like I mentioned in part one Hydrotherapy treatment also involves what happens before and after sessions aswell as what happens in the pool. Although I chuckle at myself I suffer with social anxiety so I like to know in advance so that I can mentally prepare myself for group therapies. …. I couldn’t remember where I had put my swimming gear and it wasn’t where I would normally keep it. Now, I know I should have looked for it sooner but it was one of those chores that I just kept forgetting to do! I ended up going through every drawer, and the wardrobe, until I found it leaving a mess of upturned carnage in the process. Typical! I created a massive tidying up job for myself which I knew I couldn’t begin to do until the effects of the hydro had worn off. I also undid all the R&R preparation that I had done for my first session. I could remember the time of the appointment because I had the appointment letter so that wasn’t a problem, but it was making sure that both my hubby and I were up and ready to leave the house by 8:45 am. After my epic search for swimming gear I needed a lie down so I ended up falling asleep. Into a deep sleep, a very rare occurrence! Anyhoo! next thing I know my hubby is waking me up, he startled me out of my sleep and made a fuss about whether I wanted coffee or not. In startled confusion thinking I’d not set my alarm and it was 8:30am I began panicking because I needed a shower, which takes me approx 45 minutes, how on earth was I going to make that appointment, I’m supposed to arrive 10 minutes prior to the time. I’m running around like a headless chicken thinking I’m going to be late. I’m thinking to myself why is it so dark? and then it hit me, hard and thumpy like… It was still Tuesday evening I’d only been asleep for an hour and a half and it was tea-time, which was why the hubby woke me up. I wasn’t amused by the stress and asked the hubby what possessed him to startle me out of my sleep. He hadn’t meant to of course! 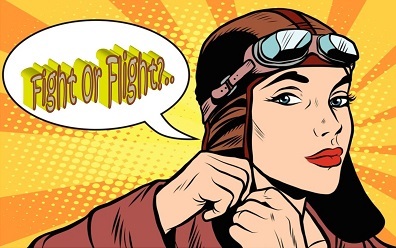 On the morning of my first session I’d had very little sleep for weeks as a result of anxiety caused by my claim for a disability benefit, and, whether or not I would lose my custom-built power chair or not. This means that I was anxious as well as nervous about my first session. I don’t like not knowing what to expect and/or walking into something with lots of people when I don’t expect it, that’s my social anxiety at play! Next were more gentle movements of legs moving them frontwards/forwards, backwards, sideways and circling. I hope you can imagine it correctly, the picture below gives a couple of diagrams but I have given a couple of useful links that explain hydrotherapy exercises later in the post. I got sorted and changed, had a chat with my hydrotherapists, got my slip to book my next appointment for the following week, had a drink of lemon squash to re-hydrate after the hydrotherapy and then headed off for breakfast. Please click these links to learn about hydrotherapy exercises as they explain the differing aspects to hydrotherapy treatment. This first chart is a block graph that shows each day and time individually with its corresponding pain level. I can use this to see where my pain levels may need attention to help reduce the risk of the level rising unnecessarily if it can be curtailed through medications, rest, or other therapeutic practices. Pain levels were recorded at: 7am | 11am | 7pm | 11pm each day. My pain level at bed time appears to be high so I should address that somehow. The graphs above and below show how my pain levels were across the week and you can see that they are lower as I head into my second session of hydrotherapy. I think it may be fair to state that I was still wearing a back injury at the beginning of the week, and was extremely fragile and tender, which may account for the scores being as high as they were on Wednesday 1st. Plus, I did feel pain for a few days afterwards but was more affected by fatigue which can be seen on the appropriate chart below. Another reason for heightened results in the beginning is because after hydrotherapy we went for breakfast and then on to do our grocery shopping. From the column chart below you can see how high my levels of fatigue were throughout the course of the week. Unfortunately, this is as a result of the hydro wiping me out combined with a lack of sleep, and also thanks to having 4 nights in a row of only having 2-4 hours sleep per night due to being woken up a lot, high levels of pain, anxiety about losing my Motability Custom Built power chair, and not being able to get comfortable. Other contributing factors such as the fact I had a doctor’s appointment, on Thursday 03/02/2017 in the afternoon, which also contributed to such high pain and fatigue levels as I didn’t get the chance to rest from the hydrotherapy a little before having another high energy activity to perform. The surgery is approx a mile away with no direct bus route so it involves a journey via power chair, or the manual chair if I’m not fit enough to drive the chair. Where did I feel pain? The table below tells me where I felt pain, and on which days, and this chart is so that over time I can correlate activities to see where high pain levels could be reduced in some way by altering my activity planning. Since starting hydrotherapy I have had to change the day that I muck my hamsters out for instance because I was the doing one of them the day before my sessions and the other one the day after. I don’t clean them on the same day because it is too exhausting for me to do so as it involves a lot of standing and reaching leading to painful back, hips, knees and arms, shoulders and hands, including extra crunching, popping and sliding of certain joints like my knees and shoulders. The places that I consistently feel pain according this one chart are lower-back, shoulders, hips, knees, arms & chest/ribs all scoring 5 days or above out of seven. Once I have constructed a few charts I hope to be able to see patterns and also further down the line a reduction in figures. What type of pains did I experience and where? For this section of my weekly diary I will be referring to the poster below as I can associate heavily with its descriptors but I have also included a few others including: popping, Crunching & Sliding & General Ache. The following Table correlates key pieces of information into one place making it even easier for me to be able to see where there may be something triggering these pain experiences within my planned activities. It also gives me a clearer picture as to what I am experiencing regards to the differing types of pain felt throughout the week and when. Please remember that all results are based upon my own personal statistics, not scientifically calculated, or, charted properly, and so I cannot in any way state that these results would be the same, or even similar, for you because of that. Plus we are each different, and I also can’t state which pain experiences are from the hydrotherapy or not either, not at this stage anyways. Well, It’s taken me longer than I anticipated to put this diary post together but I am very pleased that I have. I am now looking forward to inputting this last weeks data and charting that. This last weeks data has shown that I endured the most pain activity on the day and a couple of days after having my hydrotherapy session. I am not surprised by my results as I always feel rough for days afterwards. Hopefully this will improve as the sessions continue. It’s early day for me to discuss strength and stamina as I’ve only had one session but further down the line I will discuss if I think that they are improving. I hope that others will see what there is to gain by charting their pain experiences like this as there are many things we can learn by doing it. I’ve learnt a lot already and it’s still early days! Many thanks for taking the time to read and I hope that you can join me for Part Three. Previous Post Do you have Fibromyalgia? Which of these sensitivities causes you the most discomfort?